I'm playing a game sort of like building my dream house... but it's for the 'dream' art gallery in which I would want to be represented or exhibit. What things, ideas, or facets of business would my ideal gallery contain? I am spending the day fighting a bad cold, it's a nice day to dream. Let me think about this, before I have my first cup of tea (warning: dreams are dreams and they may not really exist!) If you think some of this is standard, I will be happy to give you the names of over a dozen galleries in my state that don't do these things....though about 2/3 of them have closed/gone insolvent. ...Has a mailing list of patrons and actually uses it. They also have a website (not just a Facebook page or Instagram), and actively update it. ...Has an owner or curator who has experience with both art AND business, other than making art themselves, in that they have worked in sales, art handling, art preparation, art history, or worked in a museum or private collection. This may be a tall order, but I have been in galleries that are just a rented space with gallery in the name, and I have been in galleries that have truly experienced staff and there is a notable difference, one I believe patrons can see as well. ...Makes materials for the artist if they are taking a sizable/standard commission- NEVER commands them to print their own materials or install their own work unless they wish to do so or the piece is a site-specific installation over which the artist needs creative authority. ...Uses written agreements and contracts, with real dates on them for setup, takedown, and other important dates. Written agreements should state info about loss/damage and insurance, and even what happens should the venue go out of business. Written agreements protect all parties involved, not just the artist, so really this bit of my "wish list" should be at the top, and should be on a "mandatory" list not a "wish list". Unfortunately, in small towns in my state and newer venues, many owners overlook the need for written agreements and seem to be turned off by (or even afraid of) artists who want to bring their own. ...Takes a REAL commission fee. Yeah, you read that part correctly. I have absolutely no problem with a gallery that takes 50% of my sales if they are actively selling the work. If other artists are just their to decorate their walls while the owner sells his/her work or peddle some coffee, then what's the point. 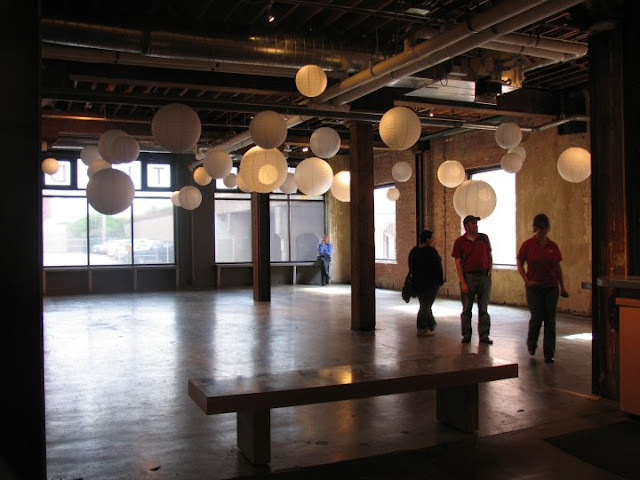 Untitled ArtSpace in Oklahoma City is full of potential for exhibits! They also have printmaking workshops throughout the year. There are plenty of artists who don't believe in the gallery system at all anymore, but I believe it is still a viable option in our local community, particularly with our events and districts full of great sights and food and music. What do you seek in YOUR "Dream Gallery"?